Enjoy delicious sweet corn again with this tasty veggie side dish that everyone loves. Combine with the carrots and peas puree or the seasoned green beans puree for an old fashioned succotash. 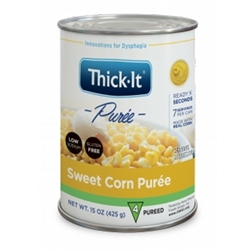 Thick-It pureed sweet corn is pureed and put through a three-part process to strain the hulls that are naturally present in corn. Despite this careful process, the consumer may detect small pieces of hull in the puered corn. 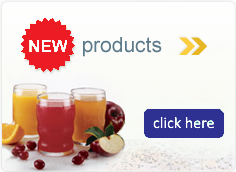 These trace pieces do not pose a choking hazard; however, individuals who are particularly sensitive to food particles remaining in the mouth after consumption should be evaluated for appropriateness of this product. Ingredients: Sweet Corn, Water, Butter (Sweet Cream, Salt), Salt.